The Trials of Gnomus DLC adds a ton of free features to Garden Warfare 2. Another huge content update for Plants vs Zombies: Garden Warfare 2 has just been released for Xbox One, PS4, and PC, completely for free. PopCap has been hard at work creating content for the aptly named Trials of Gnomus DLC that launched today. The free DLC update includes new backyard features, game modes, customization items, and much more. There’s a fairly large amount of content in this DLC update, which can be somewhat overwhelming for players who haven’t stopped by the Backyard Battleground in a while. We’ve summarized some of the key features included in the Trials of Gnomus DLC to help players prepare for the zany antics the game has in store. After months of anticipation, players finally get to find out what’s inside the Town Hall in the backyard. There’s a portal gateway built by gnomes within the center of the building that leads to a mysterious new location, based on inter-dimensional time travel. Players must triumph over a series of competitive time trials in order to earn the new Rainbow Stars that are used to unlock three coveted Town Hall chests. 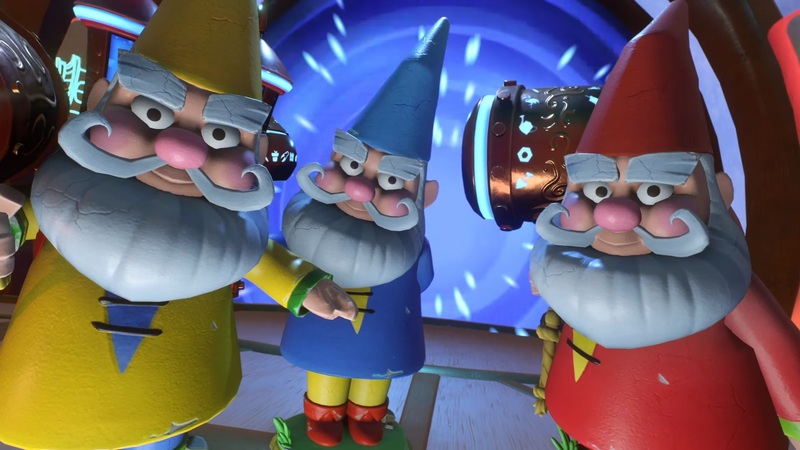 Given the gnomish nature of this DLC, many fans predicted that the new content would involve King Gnomus and the robotic animal contraptions used in Infinity Time. 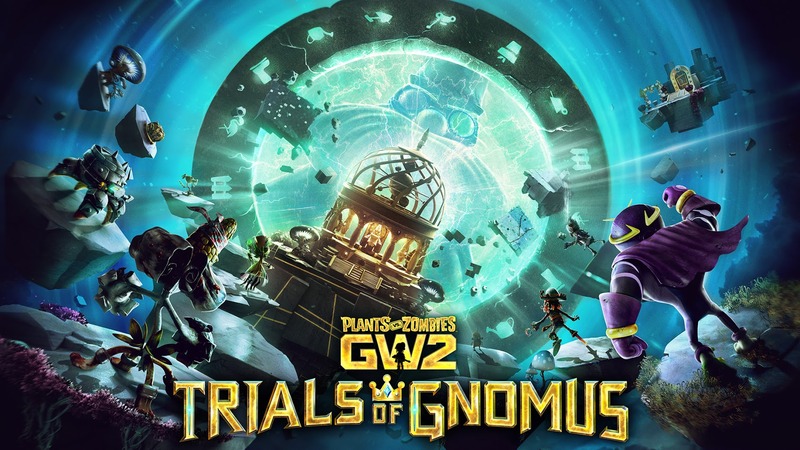 The Trials of Gnomus DLC expands upon the Gnomiverse by offering three new time-sensitive game modes that can be accessed via the Town Hall gateway. Cats vs. Dinos - A fast-paced, competitive mode that pits robotic cats versus dinosaurs in a massive multiplayer battle. Boss Hunt - A new cooperative challenge that involves epic boss battles at various difficulties. Players can team up with one another for this mode as well. Super Mix Mode - A crazy battle mode that blends various character variants and Crazy Settings for an even wackier experience. For a limited time, players can visit a new NPC vendor in the sewers named Rux the Deal Breaker. His shop, Rux’s Bazaar, is located on the upper floor that overlooks the Crazy Targets range. Rux sells a number of rare and legendary cosmetic items that can be purchased with silver coins. 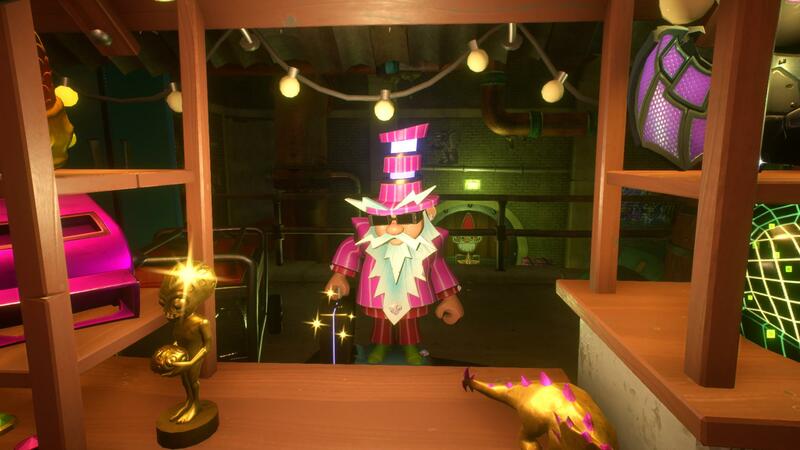 Rux’s appearances are temporary, so be sure to check back often to purchase his valuable items whenever he shows up. Along with the Trials of Gnomus DLC came a decent patch that includes bug fixes and character adjustments to address certain balance issues. There is also a new lever puzzle that dedicated fans have been frantically trying to figure out. There's plenty of content in this update to keep players busy for a while, so be sure to check back here to see what other new features may be unveiled in Plants vs. Zombies: Garden Warfare 2.